Nkontompo(W/R), Nov. 17, Daily Guide -- Papa Owusu Ankomah, sitting MP for Sekondi, who is seeking re-election, has said that former President Rawlings is not above the laws of Ghana. He has, therefore, sounded a note of warning to former President Rawlings to be extremely circumspect in his political utterances because should he fall foul of the law he would be ruthlessly dealt with within the confines of the law. Addressing a grand rally at Nkontompo near Sekondi recently, he cited certain inflammatory statements made by former President Rawlings which seem to bring tension and some sort of insecurity into the country, including Rawlings' saying that NPP has formed a party police and supplied them with arms to intimidate NDC voters during the forthcoming elections. Papa Owusu Ankomah, who is also the Attorney General and Minister for Justice, assured Ghanaians that the Government of the NPP would deal mercilessly with any person or group of persons who want to destabilise the country. 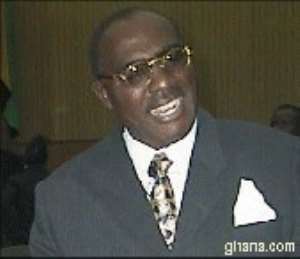 He said the Government is giving Rawlings every respect as a former President and a Ghanaian, but if he continues to abuse that great honour, the law will take its course accordingly, adding “former President Rawlings is never above the law and must behave himself in the manner expected of him.” He made it explicitly clear that Ghanaians should never be disturbed when they hear of destabilisation and rumours of destabilisation because the mandate of governance entrusted into the hands of President Kufuor's Administration would not be allowed to slip off except through voting by the ballot box.